The appointment started right on time - a rare occurrence in the medical world where their time is important and yoursis irrelevant. The appointment started right on time - a rare occurrence in the medical world where their time is important and yours is irrelevant. She was kind, super professional and she explained to me with simple words and very clear what is happening to myskin. She took the time to assess and understand stand the issue. She was kind, super professional and she explained to me with simple words and very clear what is happening to my skin. She took the time to assess and understand standthe issue. Dr. Sarolta Szabo is a board-certified Dermatologist and Dermatologic Surgeon. She is a fellow of the American Academy of Dermatology, a member of the American Society of Dermatologic Surgeons and on the Executive Board of the Colorado Dermatology Society. She specializes in skin cancer prevention and treatment, as well as minimally invasive cosmetic procedures. Dr. Szabo graduated with distinct honors from the University of Szeged Medical School in Hungary. During her training she received multiple distinguished and competitive awards for clinical and research rotations in several European countries. She completed her Dermatology residency as Chief Resident and further completed a clinical research fellowship all at Case Western Reserve University in Cleveland, Ohio. During that time, she participated as co-investigator in more than 15 clinical trials. 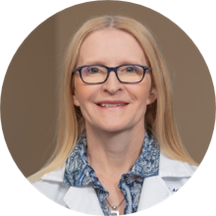 Dr. Szabo has received many distinguished awards and has been recognized for her expertise by the National Institute of Health and the American Society for Dermatopathology. She is an experienced researcher having published in several journals and textbooks, and is a national lecturer and a reviewer of publications including the Journal of Investigative Dermatology. She and her husband have two sons and live in Highlands Ranch. FABULOUS!!! Would recommend to ANYONE! Thank you for taking such AWESOME care and concern!! Very professional and friendly. Explained everything very well. I highly recommend her, and her whole office staff was very friendly. Great, friendly staff. Experience was excellent! I saw the nurse practitioner, Cara and she was very sweet, attentive, knowledgeable, and respectful. I had an upper body check for moles and she kept me modest and asked my permission before examining my chest. I felt very comfortable withher and the other nurse in the room. Wait time was about 10 minutes. Exam was pretty quick but thorough. Dr. Szabo and Alta Vista Dermatology exceeded my expectations. What an amazing office with equally amazing staff! Dr. Szabo is kind and straightforward, and I genuinely felt listened to. Dr. Szabo is very knowledgable, professional and is very passionate about her work. She shows a genuine interest in her patients. I will definitely return to her for any future skin issues. The whole experience, from online booking, reception and my doctor visit could not have gone any better. I liked Dr. Szabo very much. She was extremely thorough. She is very sweet and has a nice bedside manner. Took 5 visits before any progress was made. We are changing Dermotoglists because treatment not satisfactory. Dr. Szabo is great - have been seeing her for years. highly recommend!! I will continue to see this doctor. I would recommend this doctor to a friend. Really loved my visit with Dr. Szabo! She answered all my questions and had a nurse write down what I should do in the morning and the night so I could get proper treatment! I really had a great experience withher and look forward to going back - hopefully with clearer skin! I was very happy with my visit and will be going back to see her again. The front desk ladies were nice, the nurse was nice, and Dr. Szabo was great! Very professional. Cordial and personable. Enjoyed the visit. We really liked Dr. Szabo. She took her time with us and provided several treatments. However, when we made a follow up appointment, we were scheduled with her PA. Would like to have been informed of this, and given the optionto schedule with Dr. Szabo. We have returned a couple of times, and always scheduled with the PA. Wondering if this is how her practice works. Not a huge fan of that policy. Amazing staff. Friendly, courteous and caring. I was seen immediatly, and received incredible personal attention. Beautiful office. Professional staff with a smile. Have no reservations other than the amount of waiting time. It was quick and productive. I look forward to my next appointment. Thoughtful, professional staff. Loved the fact the everything was explained and detail given to all procedures, highly recommend! I saw her PA, Kara. She's the best -- I travel from California to Colorado just to have an appointment with her! She is very knowledgable, helpful and professional. She answered all my questions. Thank you so much! She was very thorough. Friendly and answered all my questions. Very pleasant and through. She expained what she was doing and recommended follow up as needed. I was very pleased with my visit and the care I received! Dr Szabo made the appointment comfortable and explained what she was finding during the examination. She answered all of my questions. Lisa, her assistant, was also excellent - she elaborated on the questions I had and provided information for me to take with me. Very good experience. Absolutely excellent. Efficient, professional. I give her a #1 recommendation. She was nice and thorough! I would reccomend her. Good- waiting to see if her solution works!! Dr. Szabo was fabulous! Great bedside manner and great staff too. She was helpful and very knowledgeable! Love her! Professional and friendly. Explained everything. Didnt feel at all rushed. Will definately call her my dermatologist from here on out!